Christa Bowden was born and raised in Atlanta, Georgia. She earned her MFA in photography from the University of Georgia and a BA in photography and film from Tulane University. She is an Associate Professor of Art at Washington & Lee University, where she started the program in photography in 2006. 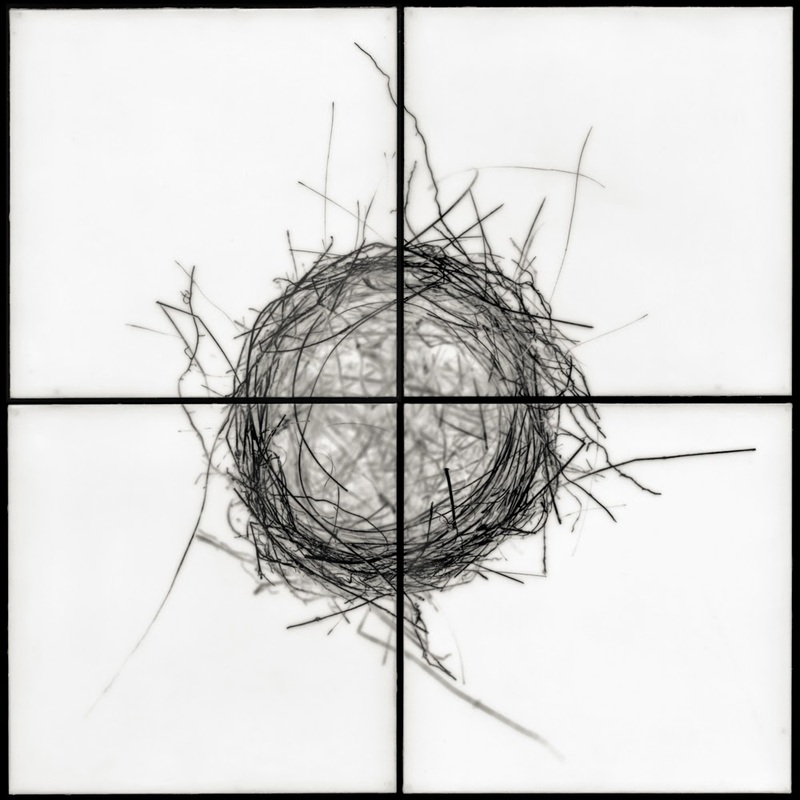 Her work explores the use of a flatbed scanner as a camera, as well as alternative photographic processes and the integration of encaustic and photography. She lives and makes work in Lexington, Virginia. Three years prior to the inception of this project, I moved with my husband and young son from urban Atlanta, Georgia to the tiny, rural town of Lexington, Virginia. This move refocused our world to be almost entirely centered around our small band of three, and building our home far away from our extended family and friends. Like many in our area, I began planting a vegetable garden in the summer. With this came the task of many hours spent pulling weeds. This was usually a meditative activity for me, requiring physical rather than mental effort, and therefore freeing my mind to ponder other things. At one point during this seemingly endless job, I paused to evaluate the root structure of a weed that I had just pulled. I was suddenly amazed at the complicated, vein-like system that delivered sustenance to the plant. 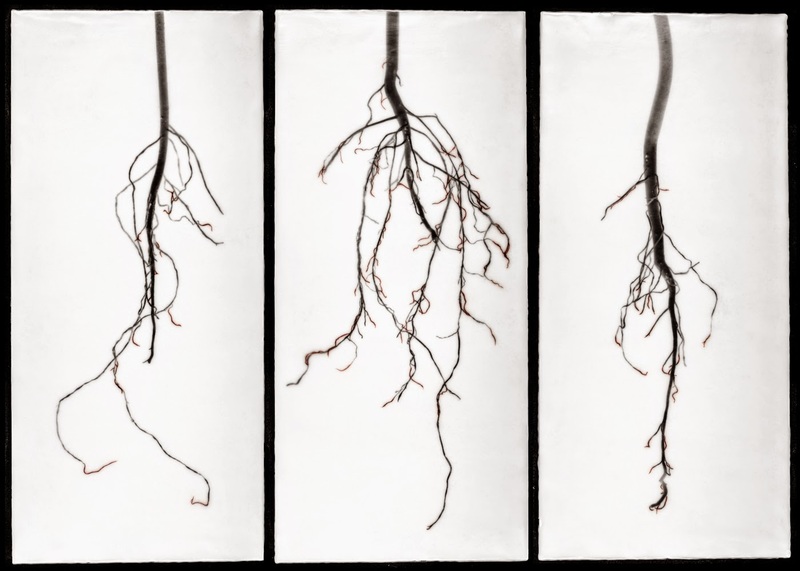 With our recent relocation in mind, I began to think of roots in a larger sense, as a metaphor for family and home. I started to explore other visual symbols of these ideas. 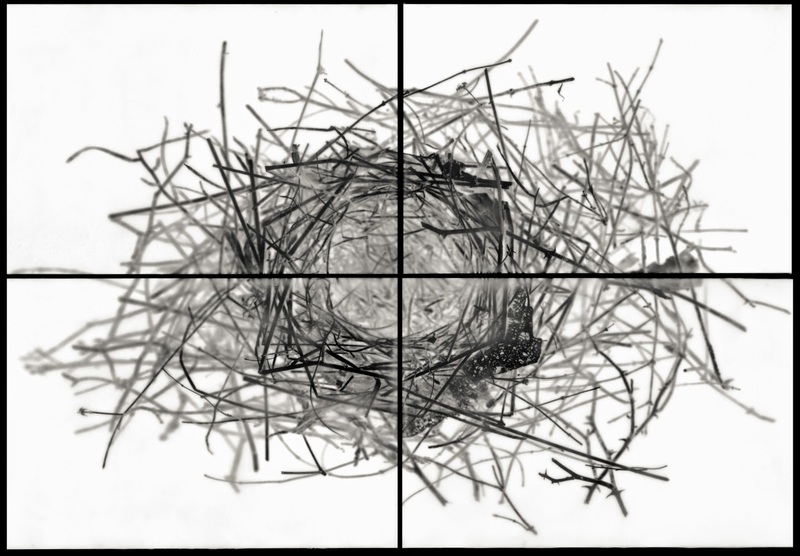 Nests, as well as more subtle metaphors such as twisted muscadine vines and cocoon-like leaf fragments, became a part of the project. 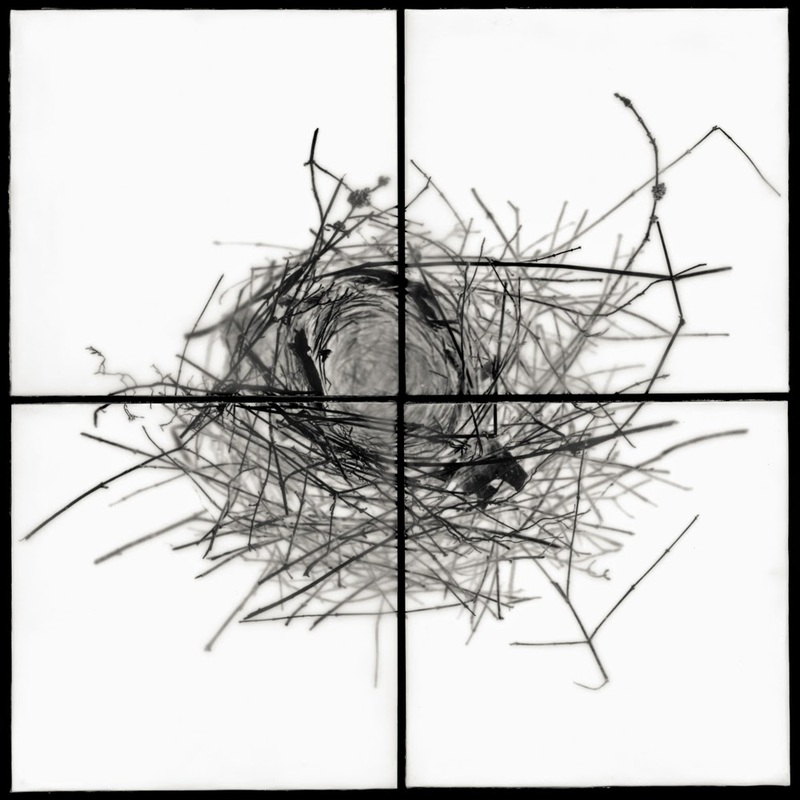 A second son joined our family, and as we continued to establish our roots and build our nest, I continued to seek a visual way to express this process. 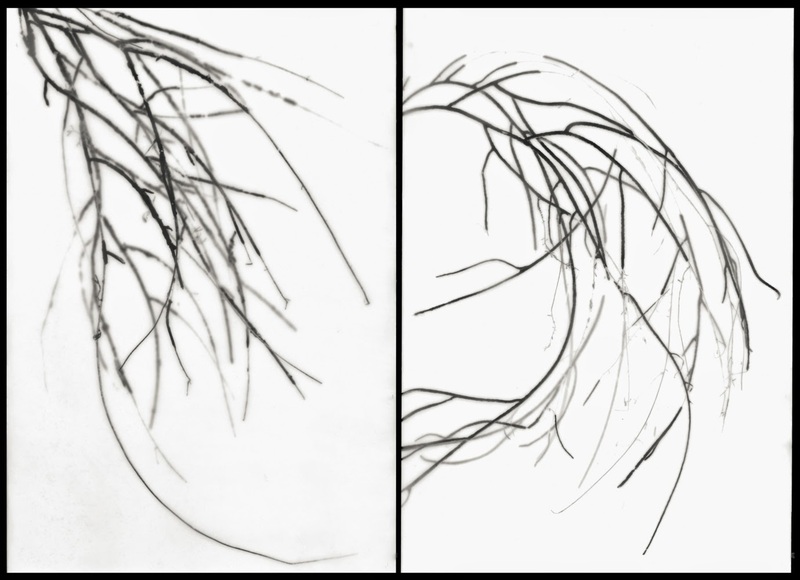 These images are constructed and photographed using a flatbed scanner as a camera. 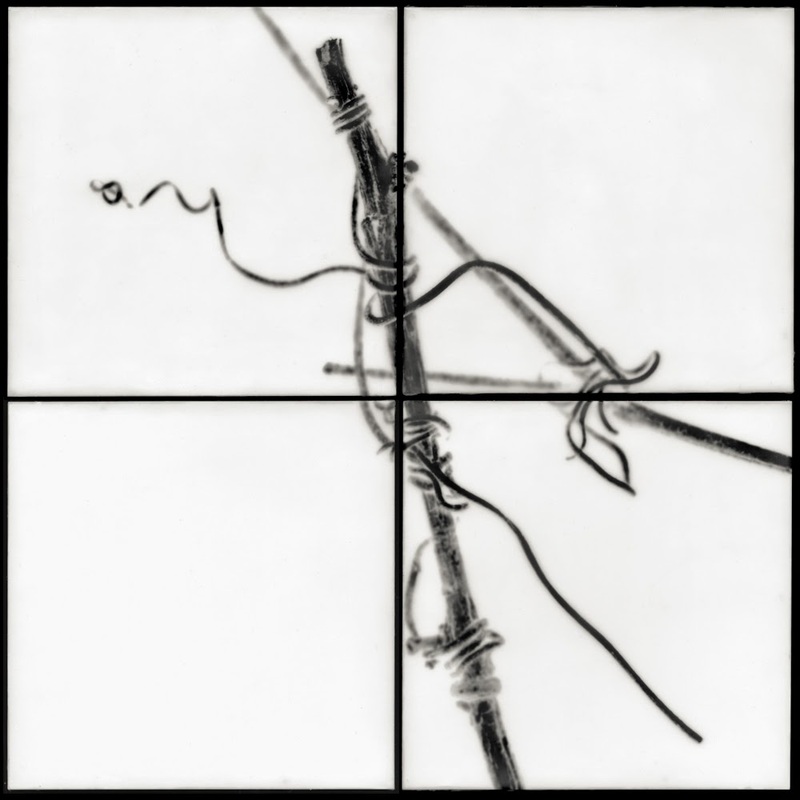 The prints are often broken up, and brought back together in diptychs, triptychs, and quadrants of panels. I am interested in how an organic line is broken by a geometric edge, then continued, as the viewer’s eye attempts to complete the image. The prints are also layered with encaustic wax. With this, I hope to create a sense of a protective layer around the ideas of family and home, almost like encased precious objects. I attribute this to the need to express my maternal instincts and desire to protect my family in a visual way. Finally, a number of the roots have carved marks in the wax, with blood red oil pigment rubbed into the line work. 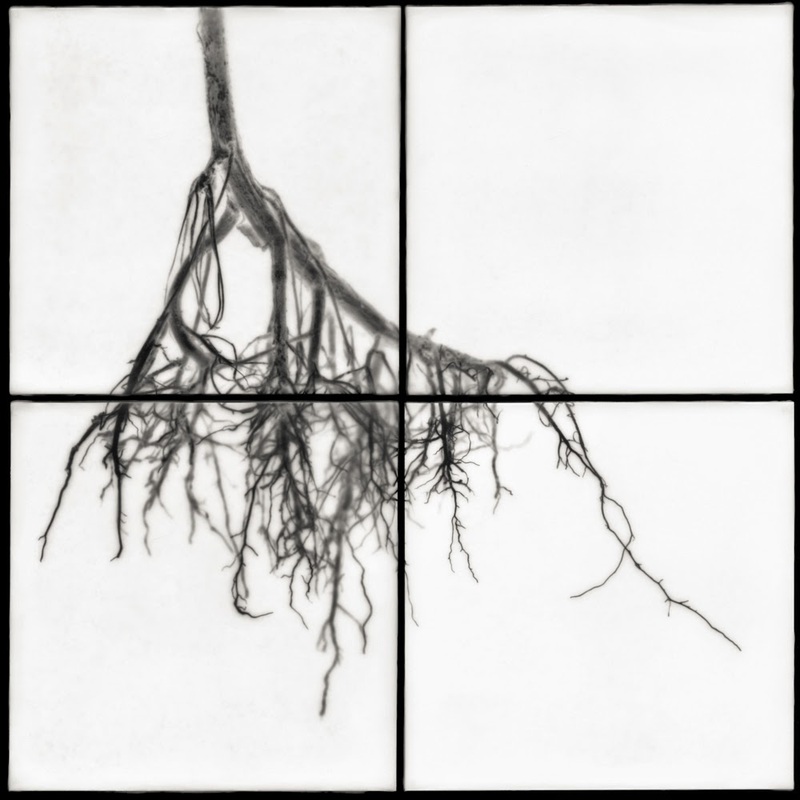 I hope that through this, the viewer can further connect the metaphorical representation of roots to the idea of family, as well as see the visual connection between blood vessels and root structures.